In situations where a full tree removal is not needed, our tree trimming services can help. 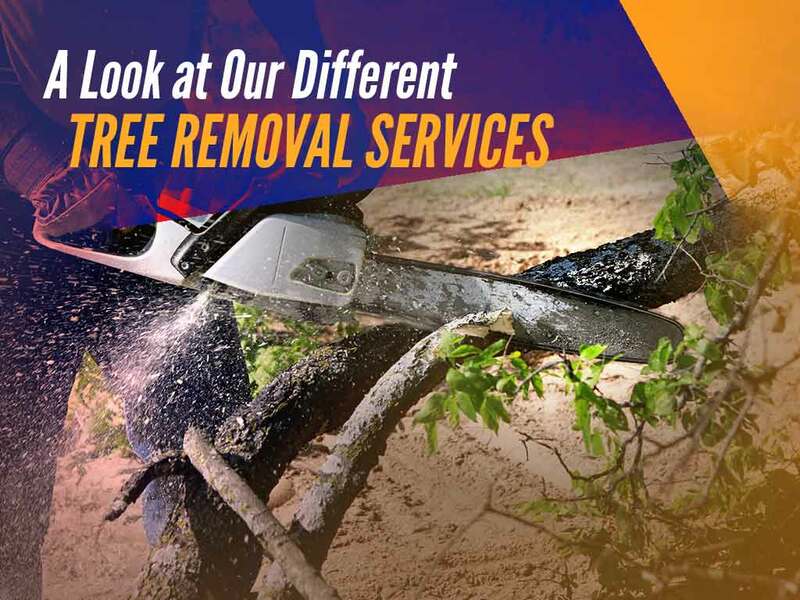 These services include cutting the limbs in the tree’s canopy away from nearby buildings and power lines, thinning some limbs to promote the tree’s healthy growth, and removing dead or broken branches. We will conduct an inspection before providing your tree service. This allows us to determine the exact service you need and provide the most satisfactory results. As professionals we can spot fungus on your tree branches that you may miss and trim these appropriately to keep the problem from worsening. Additionally, we offer emergency tree trimming service for areas that have recently been through a storm to prevent damage caused by loose branches. Stumps and dying trees are unsightly, and they also pose a safety hazard to you and your family. For one, disease can easily spread among trees, so if one of your trees has succumbed to it, other trees in the area may follow. Broken branches can be easily brought down by the wind, causing injury to anyone who happens to be walking by. Additionally, dead trees can be uprooted in a rainstorm, which can endanger people in the vicinity or damage nearby buildings and vehicles. Unsure if your property needs professional tree service? Turn to Dayton Tree Service for an inspection. Our professionals can tell whether your tree is salvageable or not. Call us at (937) 329-9988 today to learn more about our services. You can also request a free estimate. The sooner the treatment begins, the better your tree’s chances at recovery. We serve Beavercreek, Centerville and the surrounding areas in Ohio.